After finally completing a rough draft of a synopsis for my novel, I’ve emerged from the haze of confusion (hopefully) a little wiser to the process. While I’m still a few drafts away from a polished agent-ready synopsis, I can’t help but reflect on everything I learned from just sitting down and writing the first draft. 1) My biggest roadblock was figuring out how to condense 80,000 words down to one page. I went into panic mode – How am I supposed to do that?! This is where blogging most likely saved me from total failure. I started writing book reviews about some of my favorite books with the logic that if I can learn to write snapshot overviews of other novels, I’ll eventually be able to do it for my own. It worked like a charm. When I started writing my synopsis, I put away all my notes, outlines, and the novel draft itself. I simply asked myself, “Okay, what is this book about?” and started writing a summary just like I’d done a dozen times before. 2) The layout of a synopsis is essentially that of a basic 5-paragraph essay, which is the same format I use to teach my students how to write. 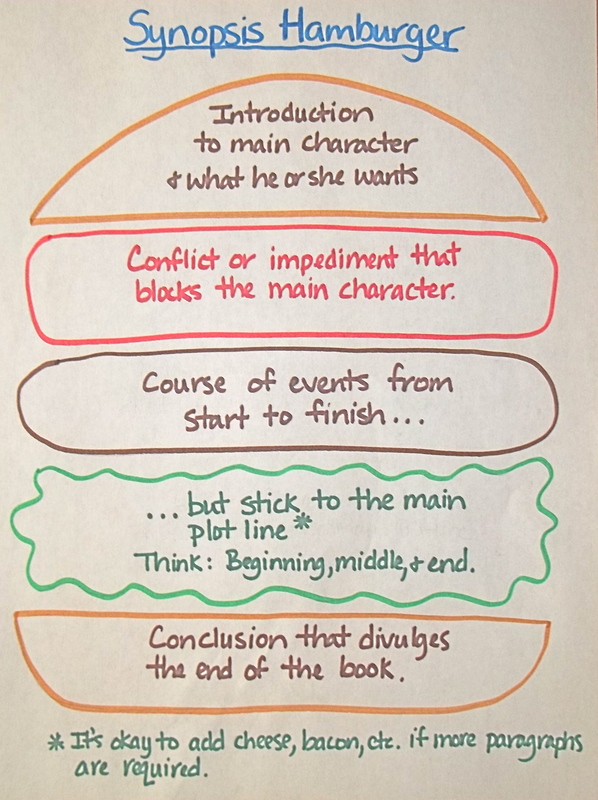 I have a teaching tool called the Essay Hamburger and I realized all the parts of my novel could be filed into the various parts of the hamburger. All I did was modify it to match the requirements of a synopsis. This is by no means a perfect format, but it does provide a nice place to start. Each layer of the burger represents a paragraph and can easily be modified for any genre or special requirements. 3) There are a number of outlets with information about writing a synopsis, but it’s crucial to find resources that relate to the genre of the novel in question. My novel falls into the mainstream/literary category, which means synopsis formats that work for sci-fi, mystery, or romance will not totally jive with my character driven story. This little epiphany came courtesy of Writer Unboxed. Click on the link for a great article that offers common sense advice about writing the perfect synopsis for your book. 4) If I had it to do all over again, I would write the synopsis first and the query letter second. The query letter requires an even shorter summary of the novel and it has to pack a punch to get an agent’s attention. Why I decided to start with the more difficult query, I will never know. Shortly after starting my synopsis, I ended up re-writing my entire query letter. Something clicked and I finally understood what goes in a synopsis and what goes in a query. 5) It’s not as hard as I thought. Fear, apprehension and panic made this waaaaay more difficult than it needed to be. The most important part of the process was learning to relax and trust my abilities. p.s. I feel compelled to note that I finished the rough draft 11 days before the deadline I set in my February Status Report. So, I can also say I learned the value of setting a deadline! I sometimes feel like a phony writer. I have yet to do any of the proper things writers do to write a story. I know what I should do, I just don’t do it. Instead, I sit down and start writing my story from the top of my head. No direction, nothing. I don’t even know what the story will be about, who’s in it or how it ends. When I finish a story, I’m always amazed it actually makes sense. Luck? I don’t know, that’s why I value comments from writers like yourself. Am I just a teller of tales? I’ve met folks who can off the top of their head spin a yarn so interesting that if I didn’t know better, would swear they had read the story elsewhere and were just repeating it back. Who knows? I just know I enjoy making up stories. Your input is worth it’s weight in gold to me. Thanks! Keep writing those stories – I enjoy reading them! The timing for this could not be more perfect. I have had a lot of fear, apprehension, etc. and have put off writing a synopsis for a very long time. I decided on Sunday that I should just do it. It’s on next week’s to-do list. I love your Hamburger. Thanks for this — your experience and suggestions will come in very handy! Thanks! 🙂 I hope it helps some people out there who are struggling with the same things. Congratulations!!! You are so awesome. I’m so excited to have a draft! At least now, I have something solid to worth with and it brings me one step closer to going after my dream! Can I save that picture to my computer? It’ll only be for me, of course :D. Wish you’d posted this two months ago when I was working on my synopsis, hehe. Of course you can! 🙂 I hope it helps! Excellent! I copied & pasted for next month when I plan on tackling my own synopsis. Thank you for sharing!!! I hope it helps to make some sense of the chaos! 🙂 Good luck! I adore the illustration of a hamburger. I am a visual learner, so seeing this helps to put things into terms I can not only understand but “see”. I have yet to write my synopsis or query letter. I will take your advice and do that former first. Good luck as you take the next steps in the process! You’re so sweet – thanks for believing in me. Great visual! And helpful post. I’ve written one synopsis/summary/worded outline/not sure….because the book wasn’t written yet. You are one step closer!! Thanks for sharing. Congratulations! That’s one big mountain conquered – your flag is now flying at the top. I love the hamburger – really breaks the writing down into manageable chunks. (Small, manageable bites are my best antidote to fear and panic!) And you have new confidence about another part of the getting published process, which will make the next mountain on this path easier to climb. I love the mountain analogy! 🙂 I’ve decided my flag is green. Hopefully, after some revising I’ll be ready to take the next step. I’ve used this template a million times in the classroom and I’m still kicking myself for not thinking of it sooner for my writing life. Duh! My agent has posted on his site some interesting advice for writers regarding synopses. He receives skip-loads of them and they are almost without exception ‘blurbs’ rather than synopses. Here are a couple of links you might find interesting. Great articles – I read them with my morning coffee! They gave me some great things to think about for when I sit down to do some revisions. Thanks for sending it to him! This is treasure! So glad to have this long before I need it. I’m fairly new to your blog. Do you have a post you can direct me to that tells about your novel? 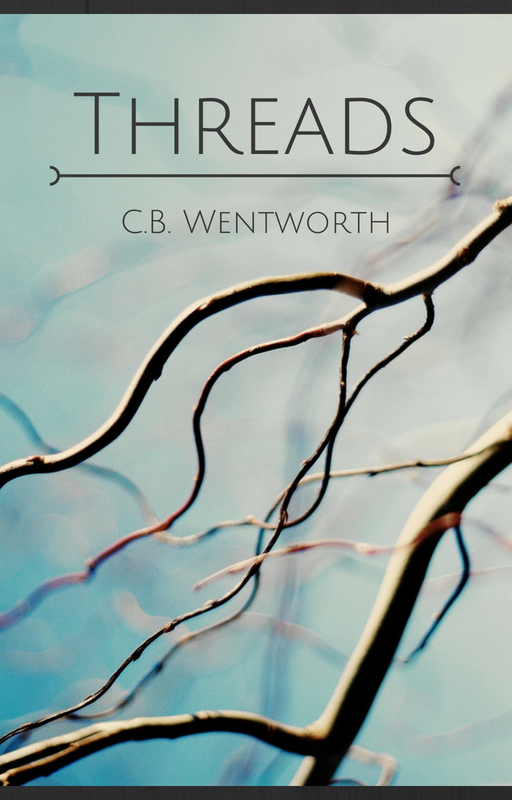 I haven’t divulged much about my novel, but I have posted a few things about it. I read through them all. What a fascinating process. I love your trio — words, photos, music, used to shape your character. I love this post so much! (Also, next time I have to teach my students how to write an essay, I’ll totally use the hamburger analogy. Genius!) I ended up bookmarking it so I can look at it again when I write my own synopsis down the road. Thanks for posting! The beauty of the hamburger is that it works for anything in any genre with a few adjustments. 🙂 I’ve used it for every kind of essay imaginable for my students and now its working for my synopsis. It’s a great tool and I hope it works well for you!